RackWarehouse.com stocks all System One Van Racks and Accessories. The System One I.T.S. Van Contractor Rig and System One I.T.S. Van Utility Rig Van Rack are the leaders among heavy-duty work racks. 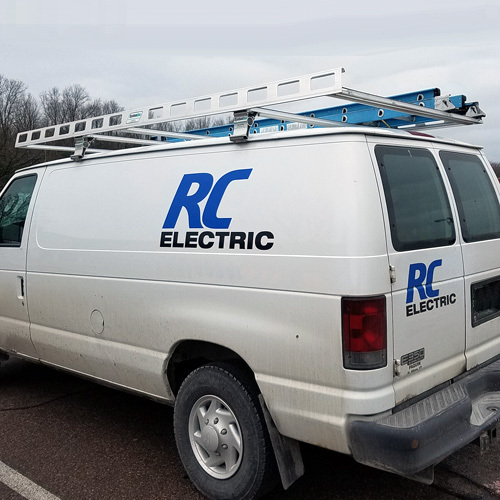 System One Van Racks are used to carry ladders, lumber, pipe and other long items. The System One Contractor Rig carries up to 800 pounds, has 5 cross bars, and extends over the front and rear of the van to protect your roof while loading and unloading. The System One Utility Rig has a 400 pound (2 bar) and 600 pound (3 bar) carrying capacity. Both racks are built with extruded aluminum components and stainless steel fasteners. Your van and equipment form an impression and tell your customers a lot about the quality of your business. 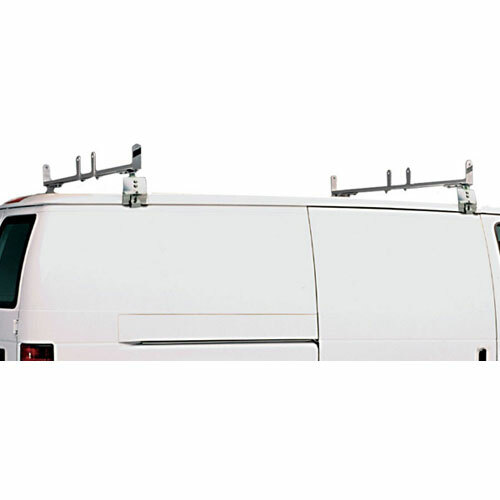 Thule TracRac's slick looking aluminum van racks are as tough as they are good looking. Thule TracRac Van Racks tell your customers that you care about your equipment and your work. Carry ladders, lumber, conduit, piping or just about anything else that will not fit comfortably inside your van. 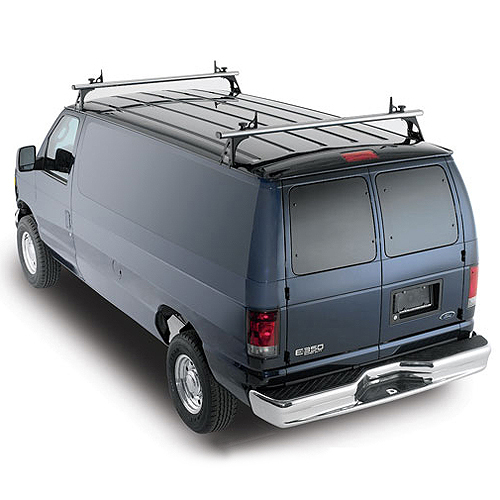 Thule TracRac 2 Bar Van Racks carry up to 500 pounds of materials and ladders. Thule TracRac 3 Bar Van Racks carry up to 750 pounds of cargo. All Thule TracRac Van Racks feature no rust aluminum construction with dual stage powder coating to resist wear and match the finish quality of your pickup truck's paint finish. 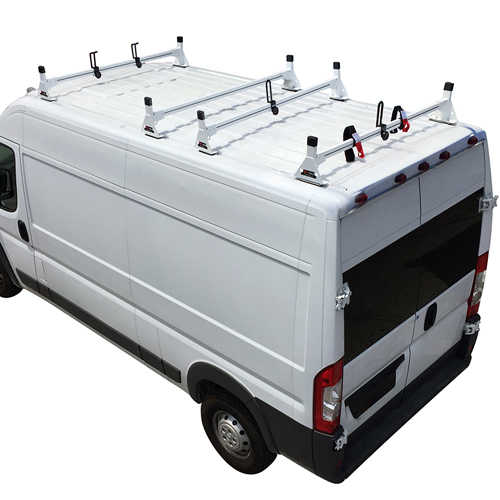 The rust free, aerodynamic Thule TracRac Van Racks will last the life of your vehicle and beyond. Thule TracRac's lifetime warranty stands behind that promise. All Thule TracRac Van Racks include 4 Sliding Aluminum Load Stop Tie Downs and mounting hardware.